First of all, the teacher, Tze Qi Ang creates the most adorable art (she’s pretty adorable herself, actually!) She walks you through the stages of choosing what to animate, and she suggests creating a gif based on the season your city/town is currently in. She made a cute smiling watermelon slice. As for mine… Well, technically it’s still summer here in Portland, but it already feels like Fall. The days are shorter, and we’ve been having these downpours and then sunshine, resulting in some amazing rainbows. So that’s the idea I landed on. my initial idea / super basic sketch. Once I had my super basic sketch and idea, I just followed the lessons on how to make a gif on my iPad using the Procreate app and an app called imgPlay. Tze takes you step by step through the entire process, and made it so easy and fun! Basically, you take your sketch and put it into layers that are similar but different enough to create the movement. Then you export the images, then use imgPlay to make them into a gif all easy peasy! The first one I did took me a couple of hours from start to finish, but now that I know what I’m doing, I can imagine making then in hardly any time at all. One question… do you pronounce “gif” like Jiff or Giff? I’m a Giff girl myself. 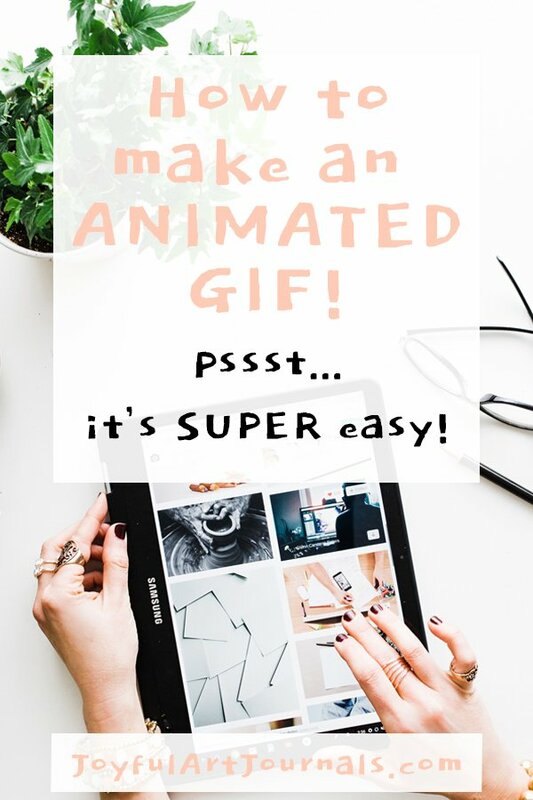 If you want to learn how to make a gif, you can take Tze’s class, Gif It! Animating Cute Characters on Your iPad, free for 2 months if you’re a new Skillshare member with this link. (In fact, with that link you can take any/all the classes on Skillshare for free for the next 2 months. Pretty sweet!) If you don’t know about Skillshare, I like to think of it as the Netflix of online learning. They have tons of creative classes, as well as business, tech, lifestyle and more. 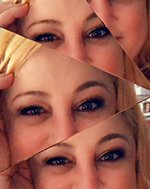 And now that I’ve learned how to make a gif, I just want to create more and more!